Last night as I was trying to doze off into never never land I heard this zen / Asian music-- similar to the spa music I hear once a month, yet I wasn't at the spa! My boyfriend recently read an article about sleep therapy advance healing music that helps you relax your mind and not stress oh and puts you to sleep. The clip is about 15 minutes & by the end of the clip you should be sound asleep! After about 5 minutes the bf was snoring and I was wide awake. Have you ever tried any insomnia tricks? 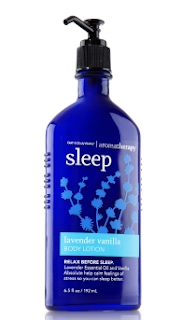 I love Bath and Body works Sleep lotion and spray yet not a fan of the music! After complaining about this heat for the past month I have found a simple solution.The only way to escape this heat is to pair it with simple summer breezy dresses. The less layers the better. Everyone keeps telling me that this 95 degree weather is nothing, but its starting to kick me. I picked up this dress a couple year ago at Macy's. It has a small ruffle detail across the shoulder and I love the cobalt blue and army green! You are such a cutie! Love that dress on you!! Lol that you --- your too sweet! Ill have to try that almond milk .. I usually browse the net until I get tired! !